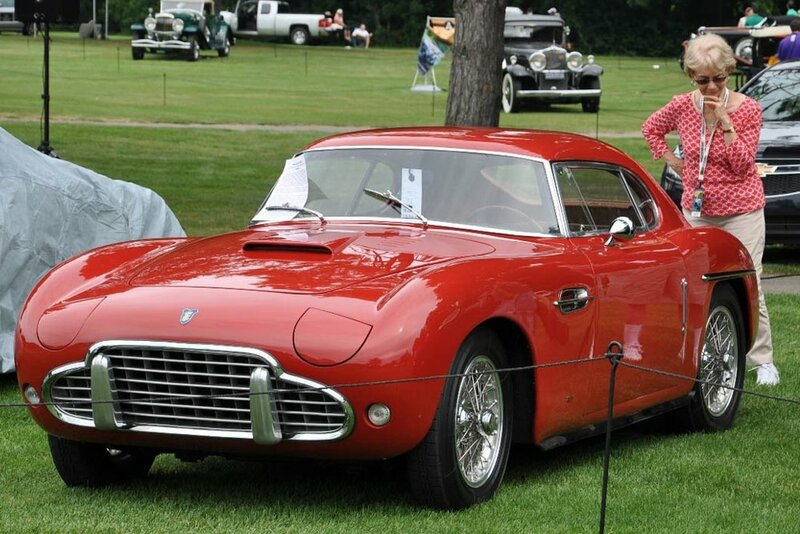 2014 Concours d'Elegance of America — Automotive Restorations, Inc.
A bit of history: The Meadowbrook Concours event was an institution and then times changed. This event has assumed Meadowbrook’s position and posture admirably. Near the center of automotive America, Detroit, MI, it is well positioned to find an exceptional group of exhibitors and an informed group of spectators on par like no other. Thus was ARI’s 1st visit to the new venue and we all enjoyed being a part of this beautifully run event. The cars on display are superb, the ambience casual and elegant. Aston owner Tom and Siata man Walter savored the experience as did Brian, Ed and I taking care of transport, prep and all else needed. The tale as told by Kent Bain. From the top: Tour complete, cleanup done, and cars unloaded Saturday afternoon. Ed and Walter take the Siata as yours truly does the Aston honors. Placement on the field soon done. Rosanne studies, covers soon follow and we are set. Walter and Rosanne with their long owned and often driven Siata 208 BS early Friday morning for the Concours d ’Elegance of America tour. Hours later they returned…”great tour and the car ran perfectly”. Brian & Ed’s trip out with two cars “in the box” had taken just 12 hours on Thursday and things were looking awfully good come Friday afternoon. I flew in Friday evening without a hitch , found the guys then headed to the Inn at St. Johns Saturday AM to pick up packets, clean and prep the cars, and have a look at all the goings on. With the preparations completed we had time to see RM’s auction was moving along well, find friends, chat things up and get the lay of the land for show day. There was but one worry….superb machinery and the threat of clouds and wind. Weather was indeed giving us a bit of pause and the story kept shifting. Finally outlooks brightened and we felt good about getting both cars to the field Saturday afternoon. 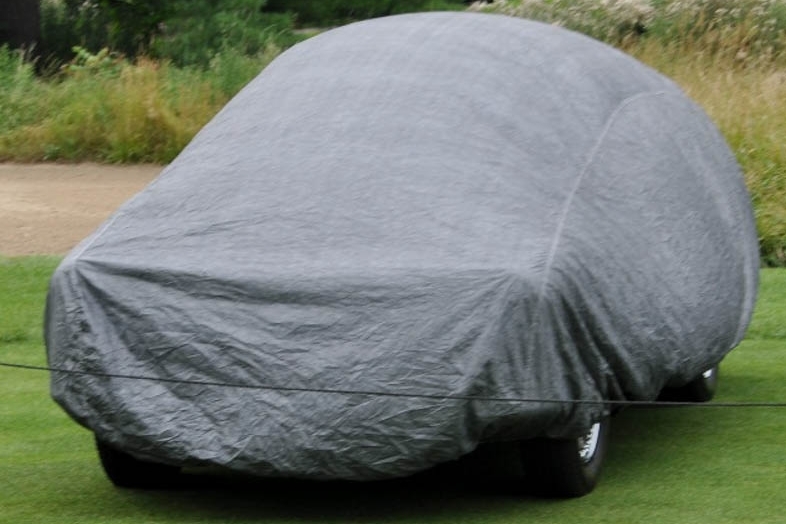 Cleaned, covered, and ready for show time….things were looking awfully good that Saturday evening as we all enjoyed a bite and a few tales of yore. Sunday fog permeated the early AM ambience, but all was well as Brian, Ed and I primped and polished to be ready for the judging. Tom left his home in the Cleveland area at about 5AM to roll in just as we finished…SET and READY we were. All was ship shape as the judges showed up and started detailed inspections of both cars at or about 10AM……and then…well!!! 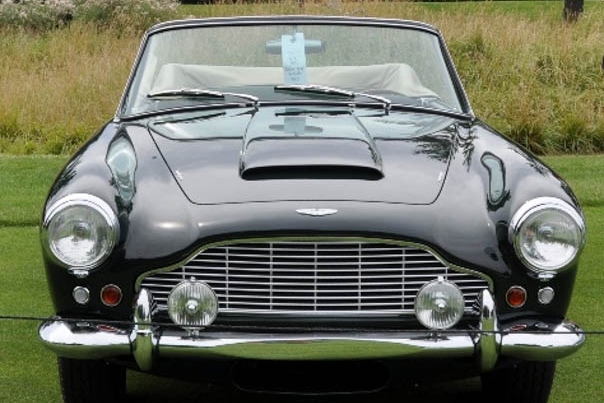 What more is there to say but first in class among some superb examples of the evolution of the Sports car class for Tom’s Aston Martin DB4C and a class award for Walter and Rosanne’s Siata 208 BS Coupe among a field of equally impressive and tidy machines. WEATHER, yep…Sunday as we loaded up. All's well that ends well…and not a wheel went wrong all weekend. Good fun and thank you to Tom, Walter & this great event for a great weekend in Plymouth, Michigan. The photos tell the tale. 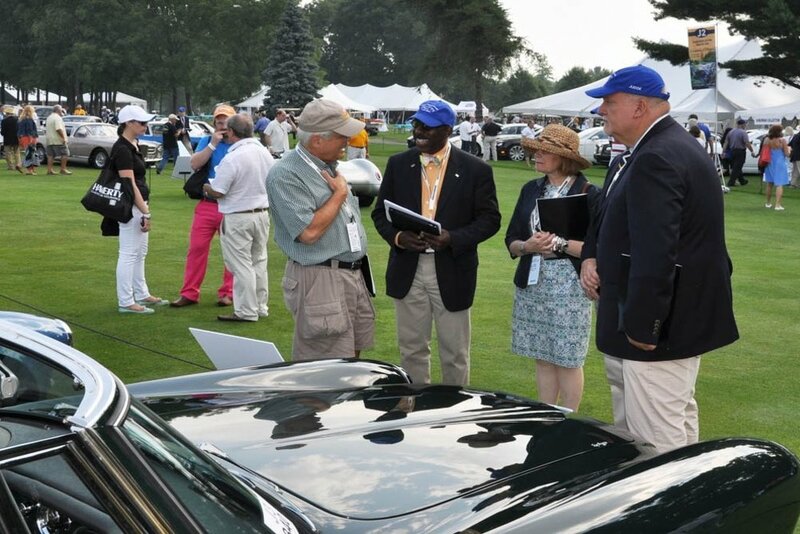 JUDGING STARTS RIGHT ON TIME AT CONCOURS AMERICA: Walter explains some Siata subtleties to the judges while Tom explains Halsey’s history to Dave Kinney, Donald Osborne, and a very aware judging team. A good day ends well. 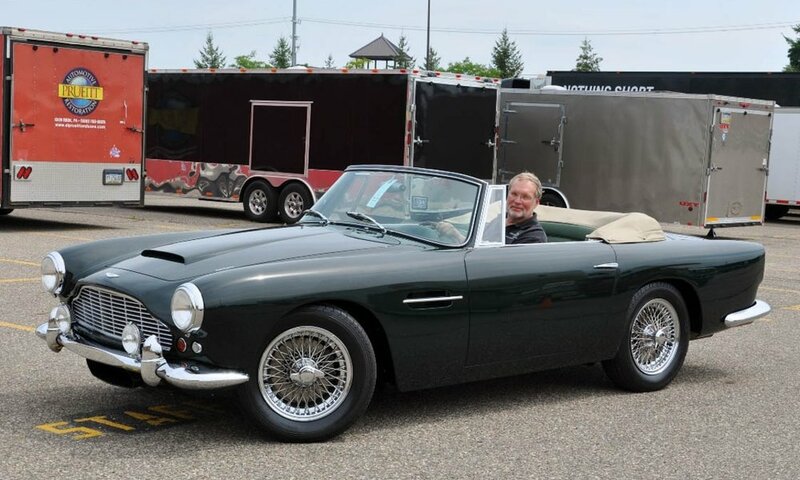 First in class for Tom’s Aston Martin DB4C series III convertible and an award of excellence for Walter’s Siata. 2 for 2 was a treat indeed. Tom was delighted and enthusiastic as he received his award below. The blue ribbon told the tale before mid day. 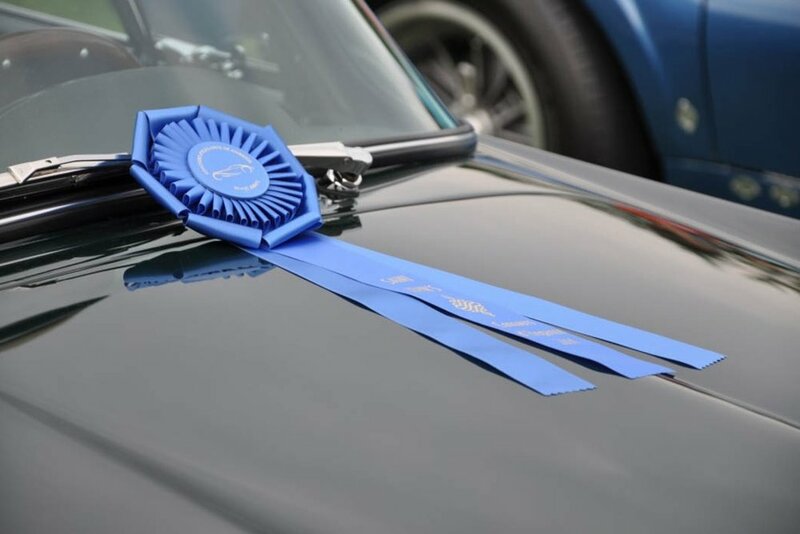 As the event winds down Walter and his superb Siata drive up to receive their class award garnered among an exceptionally fine field of exhibits. Great day, quality event and thanks to the Concours of America at St. Johns, Plymouth Michigan’s organizers for a job well and graciously done!